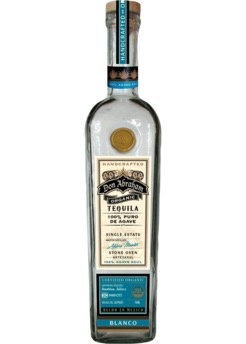 Don Abraham Organico Tequila is 100% organic natural agave product. Elaborated in the traditional antique process, strictly controlled to obtain the best and finest quality. 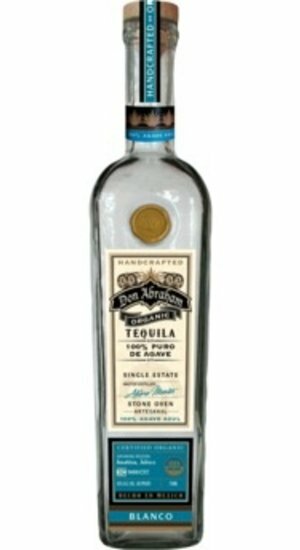 Don Abraham Organico uses 100% organically farmed blue agave plants that originate from one of the finest growing regions in all of Jalisco, Mexico. In this beautiful valley the perfect combination of soil, weather and other natural factors produces, excellent conditions which are require to produce the finest blue agave of the highest quality. Our master growers select only the finest mature plants from our fields to be used in the making of Don Abraham Organico. The careful cooking process, fermentation and double distillation result in a product specially made to satisfy the taste of the most demanding connoisseurs. The elaboration process in supervised step by step until we obtain natural tequila Blanco. Which then is aged for 9 months in oak barrels that give the authentic color, aroma and flavor of our Reposado tequila. Anejo is age for a minimum of 14 months obtaining the ideal aging that gives the tequila its distinguish taste and unique flavors.